You are filling up a certain portion of a web form where you only need to paste some information copied from somewhere else when you realize that the website won’t let you do it. It’s a pretty common experience with web forms, and can be rather annoying at times; especially when you’re sort of in a hurry. Sometimes, bank websites won’t let you copy and paste an account number while transferring funds. At others, you end up having to type the same postal address multiple times because the website has disabled copy-paste operations. Granted, these type of UI features are deliberately introduced in web apps in order to minimize the possibility of human errors and even for security reasons. But, sometimes it can really get frustrating. If you’ve got the confidence that disabling UI features such as these, are only slowing you down, and are careful enough to avoid making critical mistakes, there is now a way to re-enable such UI features in the browser, even though you’re not supposed to. 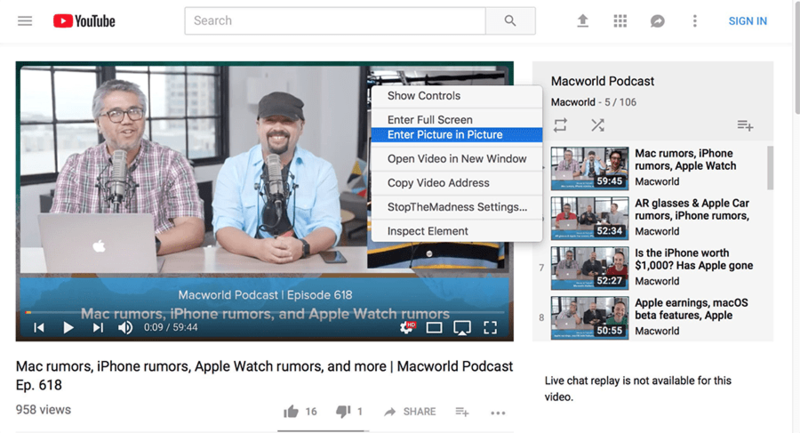 StopTheMadness is a browser extension available for Chrome and Safari that lets you re-enable UI features that are ideally disabled on the particular website. It gives you control over a host of UI features when browsing a particular website. Thus, with StopTheMadness extension, disabled right-clicks or copy-pasting features would no longer bother you. But it comes with a price. Literally. 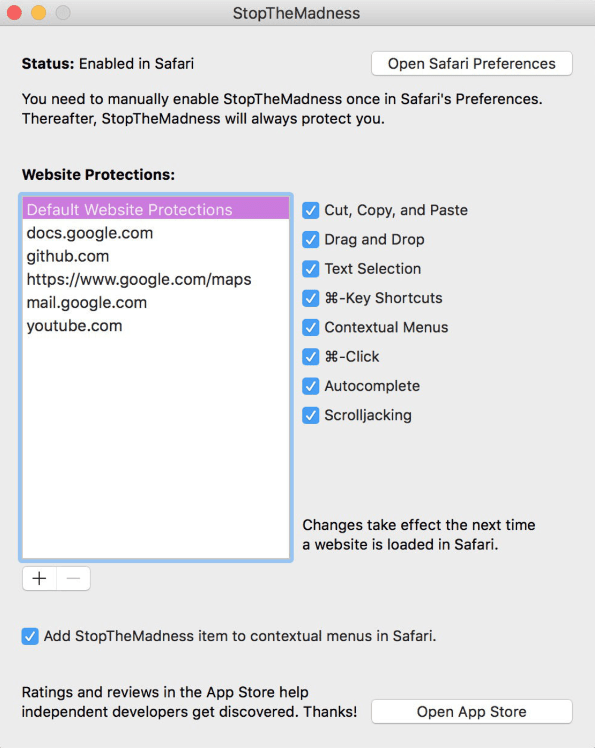 StopTheMadness is a paid extension for both Chrome and Safari browsers. If you’re still interested, you can purchase StopTheMadness for Chrome or Safari.